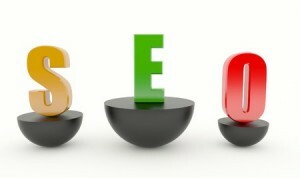 Search engines have slowly evolved to serve the specific individuals who use them. In years past, institutions such as Google were big, one-size-fits-all directories that served up information most relevant to the topic rather than what was most relevant to both the topic and the user. As times have changed, search engines have created many funnels and channels that help give people the most relevant information possible for each search. One way in which search engines separate people and queries alike is by nation and language. That doesn’t mean that your brand can’t capitalize on people in other countries: we’ll review today some of the reasons why you might want to target international SEO markets alongside your present endeavors. English (and specifically, US-based) search results are among some of the most hotly contested SERPs in the world. Due to sheer population and standard of living combined, businesses and brands from all over the world seek to make names for themselves in these niches. One notable benefit of international SEO is that such a situation doesn’t exist when pinging servers in foreign markets. Many nations have relatively no competition in SERPs compared to what most brands are accustomed to, making it an appealing niche to target. If your brand or business can accommodate people in other countries, you arguably stand to gain a lot by targeting those relevant SERPs. While advertising via platforms like Google AdWords may not directly constitute SEO, it emulates the practice and effectively serves as a paid alternative to ranking organically. Advertising through these methods is still generally affordable in every market, but foreign language and international audiences can often be targeted for a fraction of the price of US English audiences. This means that businesses willing to ship internationally and/or service those who don’t speak English can potentially reap much larger returns on investment when advertising products, services and subscriptions in general. If there’s one reason to justify targeting people in international markets, then this may be the strongest one of them. Whether you’re employing organic strategies, paid efforts, or both, you will sooner or later saturate a given audience. At this point, it becomes difficult to grow any further and requires a massive amount of resources in many cases to make further in-roads. International SEO offers brands the option of pinging servers in relatively huge, untapped markets and thereby provides them with the chance of dramatically expanding their customer base and reach. With only about 1 in 12 people worldwide falling into the US English market, you undoubtedly are selling your business short if you’re only targeting people from that demographic. In many instances, people in international markets are looking for the same products and services that you’re offering at this very moment! Ultimately, international SEO can provide brands with more customers, greater opportunities, lower costs of advertising and less competition to face. These elements are the dream of SEO enthusiasts everywhere so if your brand is capable of serving an international audience, it only makes sense to begin competing today!